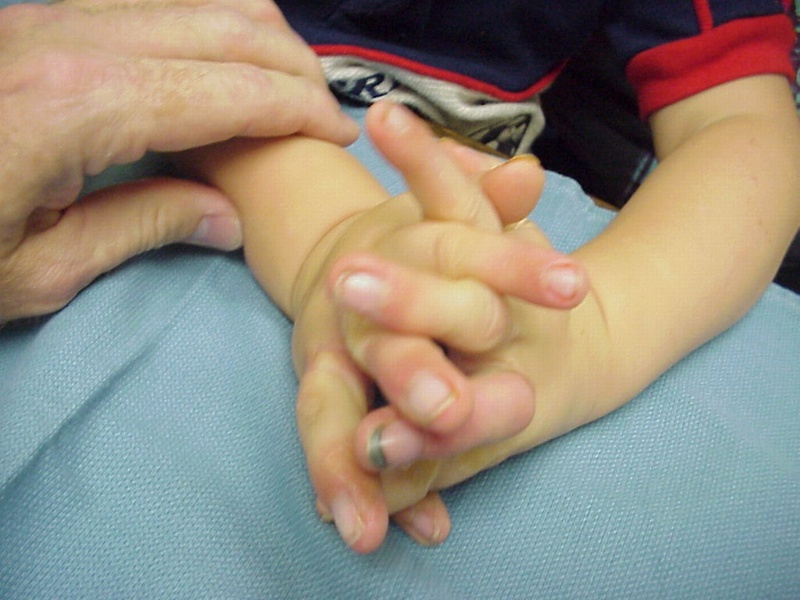 Every congenitally different hand is ...different, and requires a customized approach. 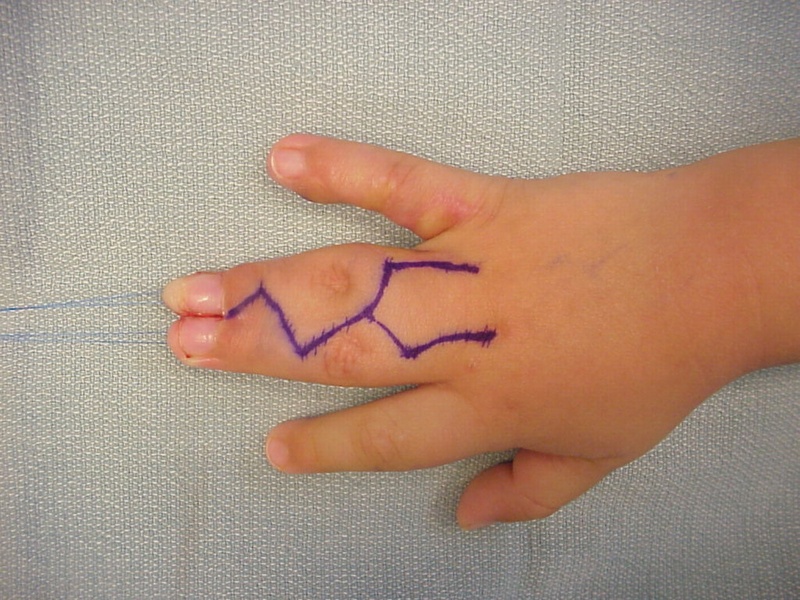 The reconstruction of complex complete multiple digit level syndactyly was performed in stages as three bilateral operations and illustrates some technical points applicable to other situations. 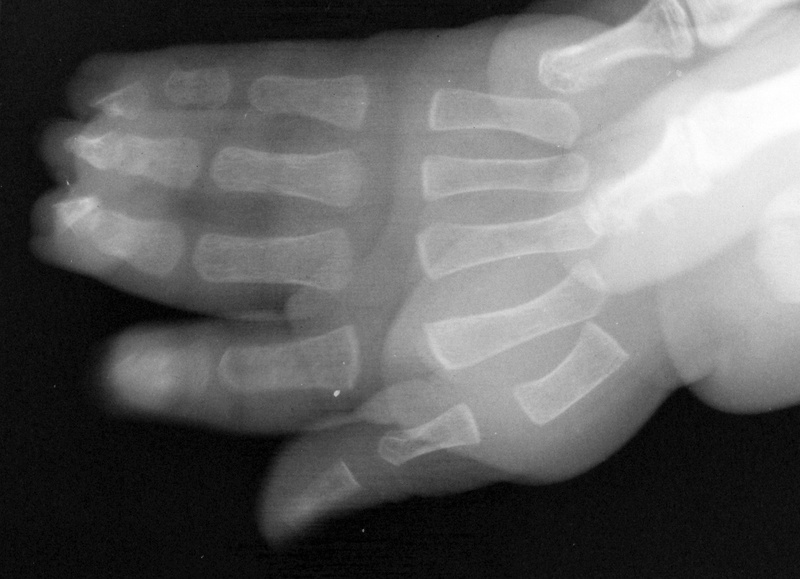 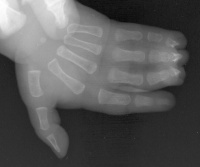 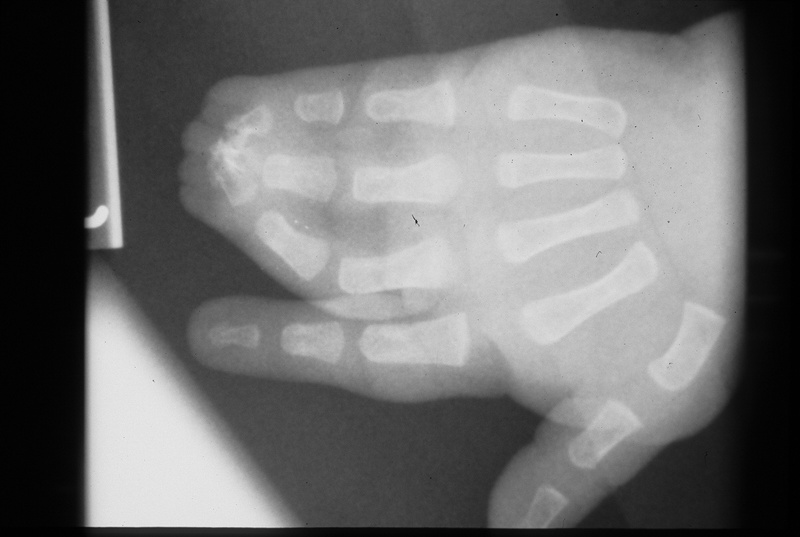 Bilateral middle, ring and small acrosyndactyly. All procedures were bilateral at the same setting, but are illustrated here only on the right side. 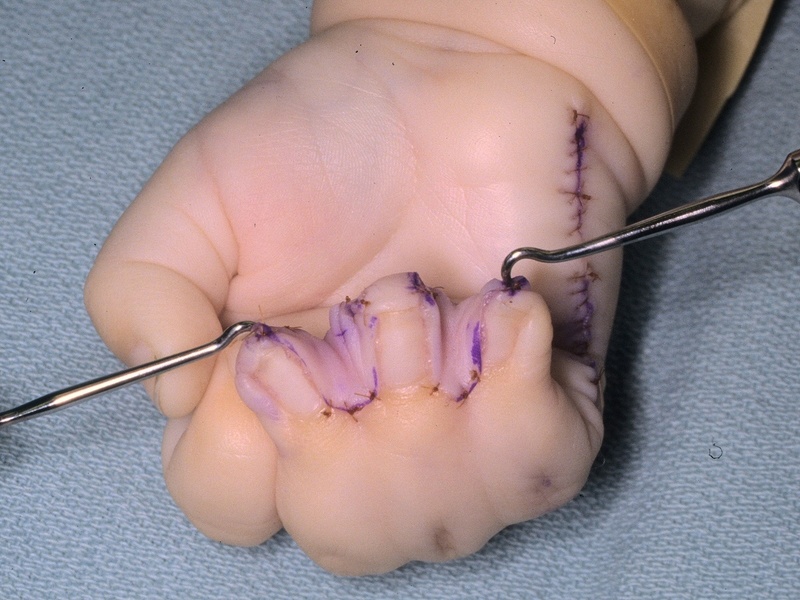 First stage: fingertip separation and surfacing with hypothenar skin grafts. 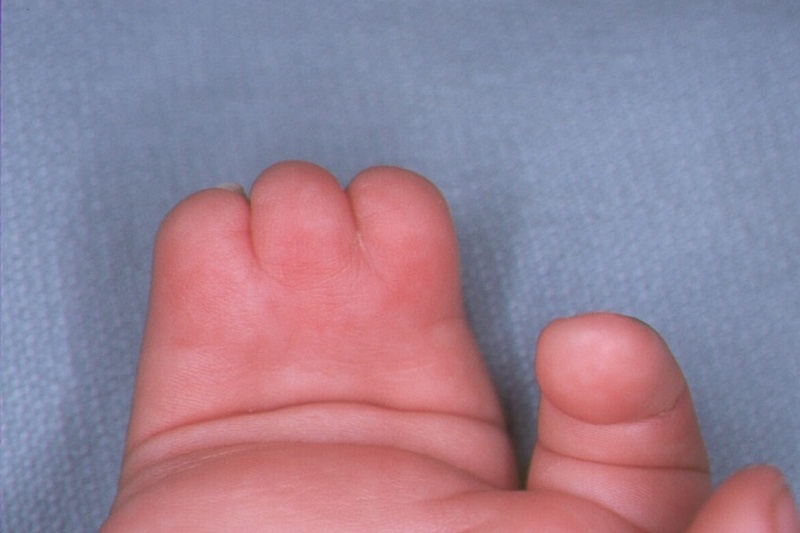 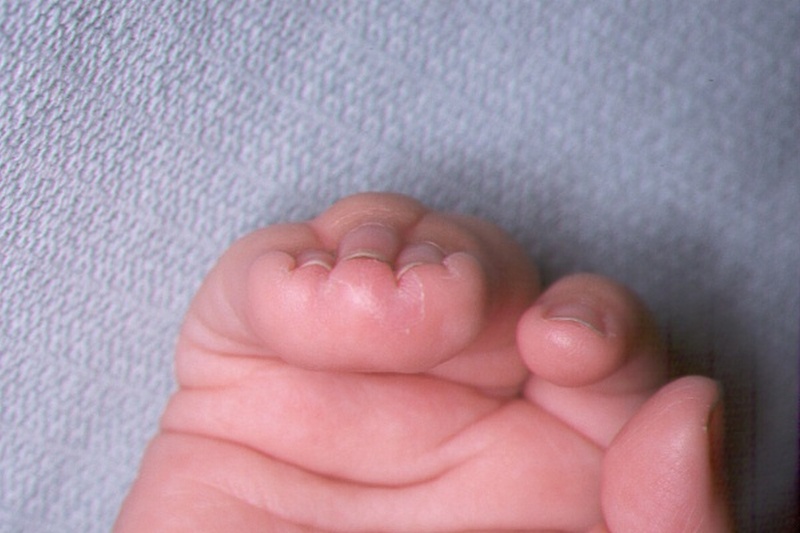 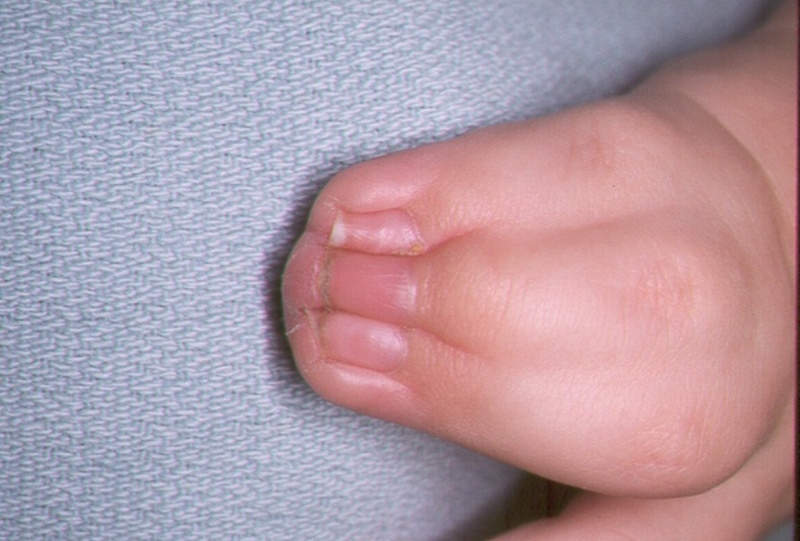 This converts the syndactyly from complex to simple and buys some time for growth by lessening the deforming forces of the terminal bony syndactyly. 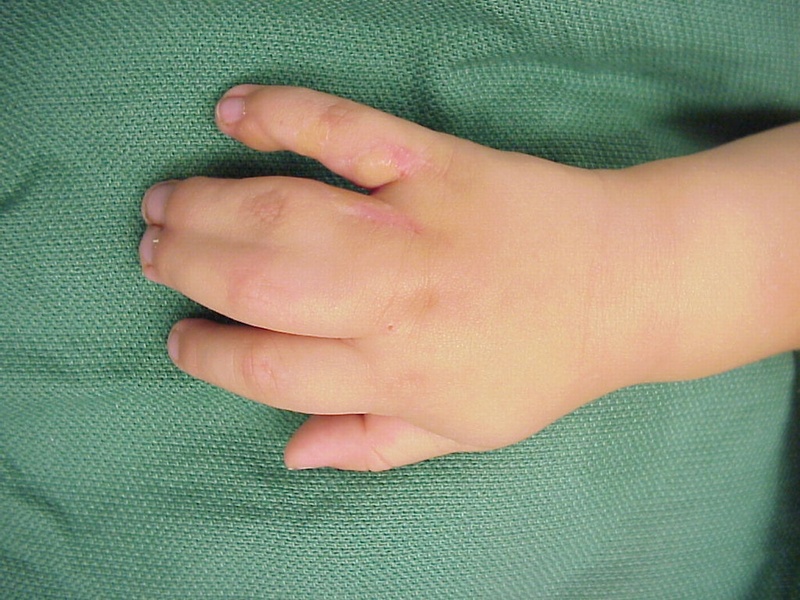 Angular tethering has been lessened. 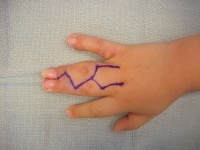 The second stage was syndactyly release of the two digits with the greatest length discrepancy (ring and small) to reduce further angular growth disturbance from tethering. 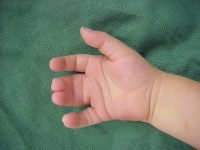 The third stage: separation of the remaining digits. 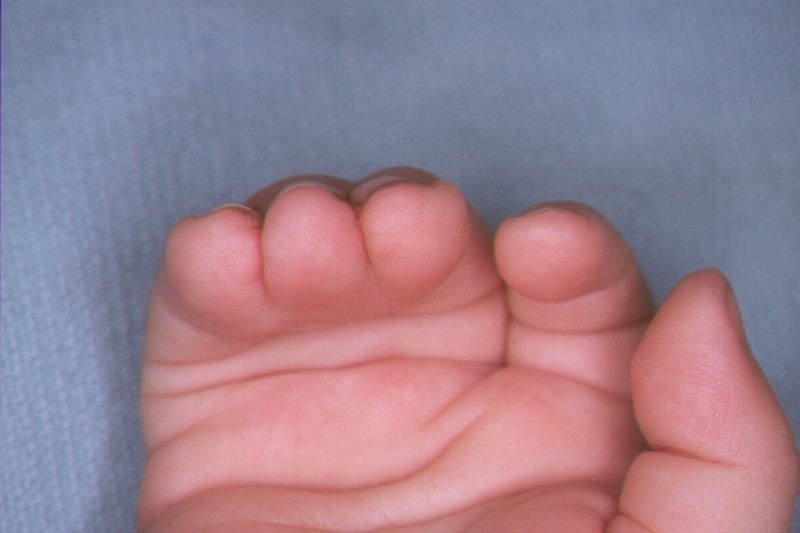 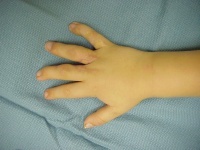 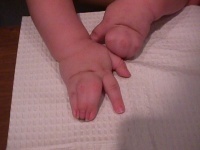 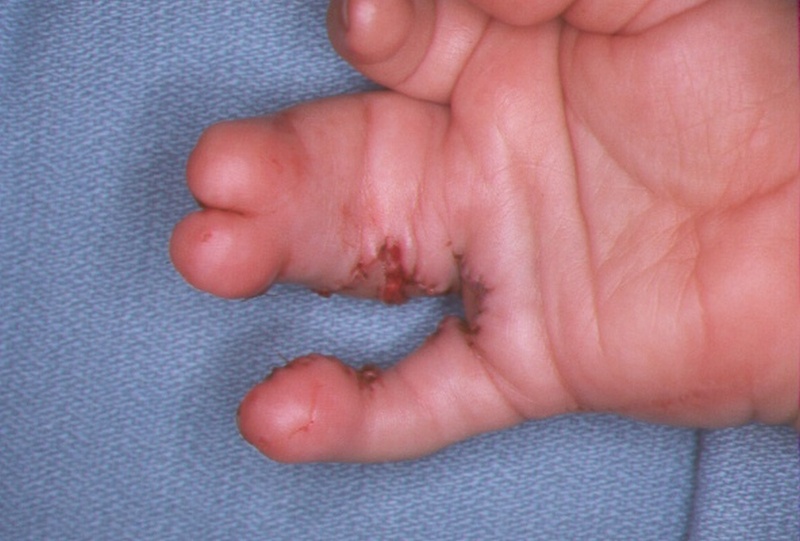 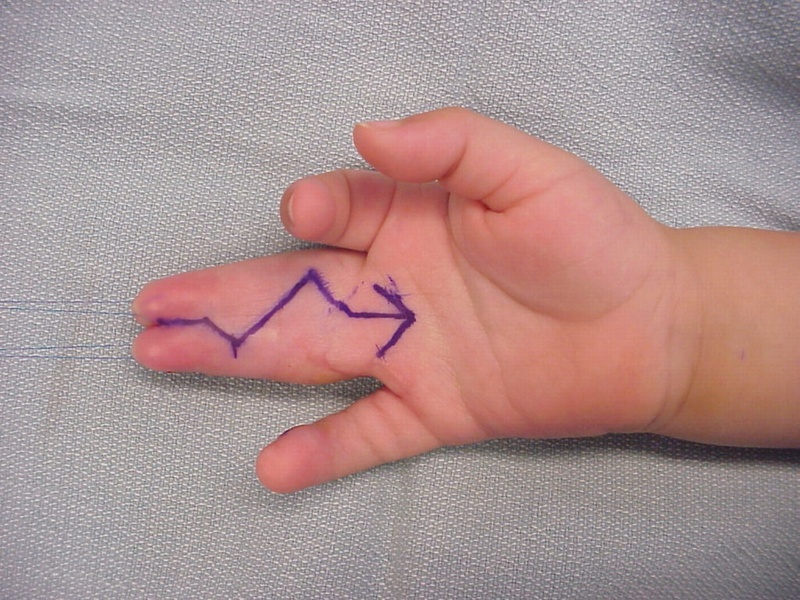 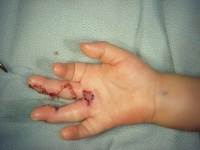 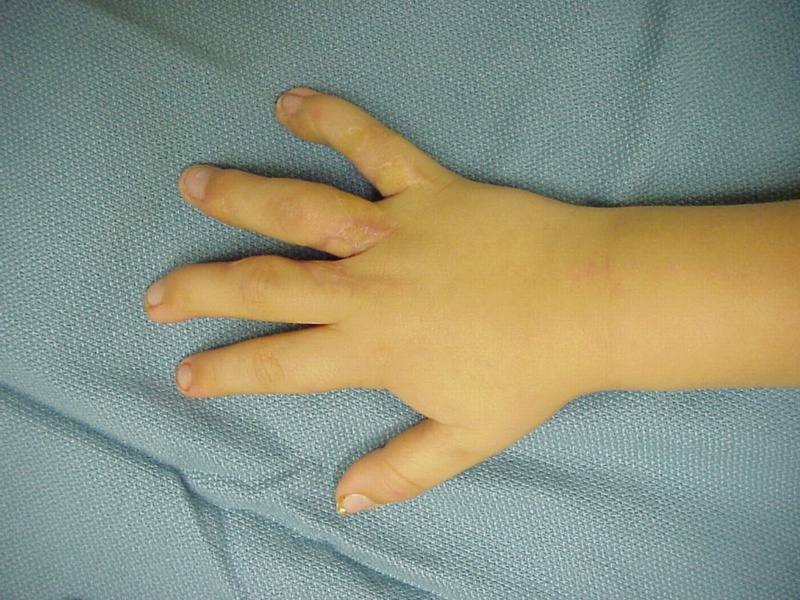 Neurovascular anomalies, such as distal common digital bifurcation, are more common in complex than simple syndactyly. 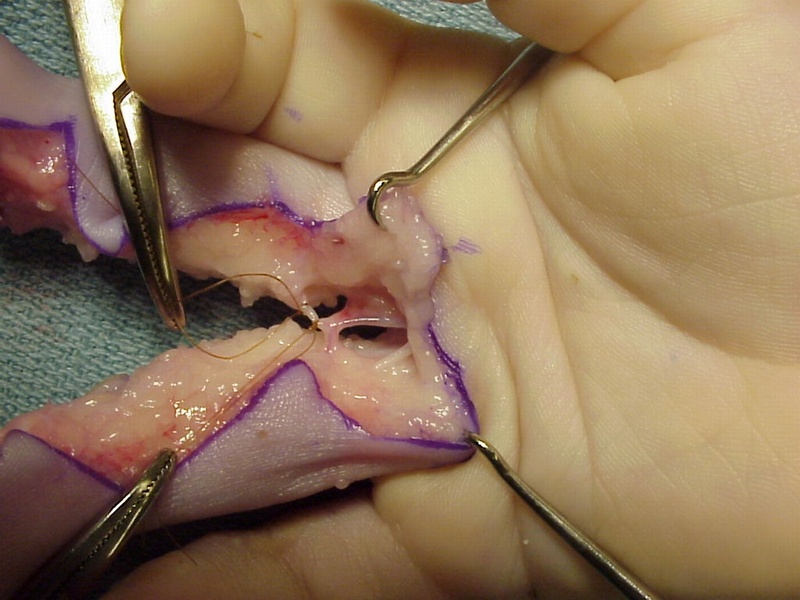 In this situation, the nerve facicles may be separated by dissection, but the digital arteries can not. One option is to divide the common digital artery to the digit which has an undisturbed contralateral vessel, as shown here, dividing the ulnar digital artery to the middle finger to preserve circulation to the ring, which has been dissected on both sides.